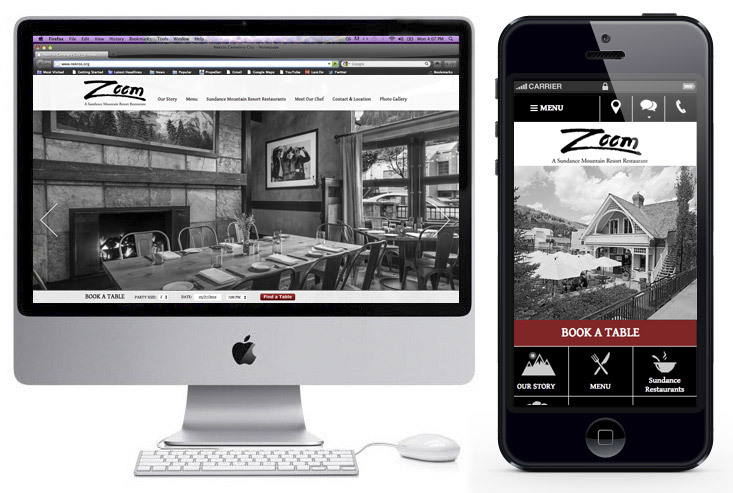 Zoom Park City is a restaurant located in a popular skiing location of Utah. This restaurant is owned by the award winning actor, Robert Redford and it’s rumored that he can be seen frequently eating here. The site was designed with simplicity, and a minimal color palette in mind to match the branding.